Guinea pigs naturally love to hide. This guinea pig is housed with others who like to hang out in PVC tubing. 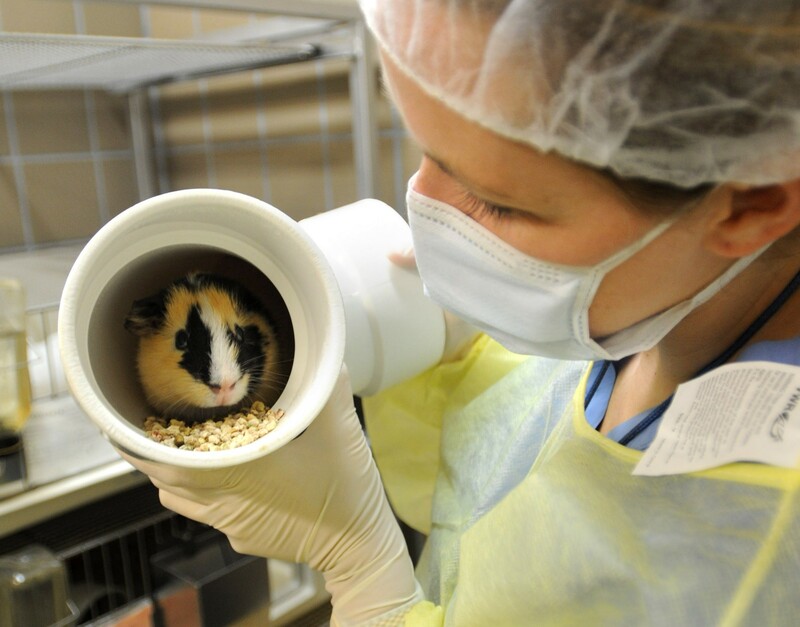 Covered areas help make guinea pigs feel secure. This caregiver is moving the guinea pig to her clean enclosure while she safely sits in her tube. Explore all of our Amazing Animals! The photos on this website are provided to assist you with your educational needs. This work is licensed under a Creative Commons Attribution 4.0 International License.EXCEPT where photos include another credit. See About Us page for links to specific photo permissions. Photos that are otherwise credited on this site must be used according to specific photo permissions and may not be altered or manipulated, transformed, or used to build upon; and not used for commercial purposes.